Hello. I’m not sure that Lauren has ever referred to me as her boyfriend, but we’re definitely involved. We met around the time she first got caught up in solving a murder, back when I helped to supervise the rescue by the Small Animal Rescue Team of a bunch of beagle puppies that had been tossed down a storm drain. Other members of L.A. Animal Services were there, too, since those pups were among a lot of others being saved from a puppy mill. The guy we believed had tossed those puppies down the storm drain wound up being murdered and Lauren had been so publicly angry with him that she was a suspect in his death. 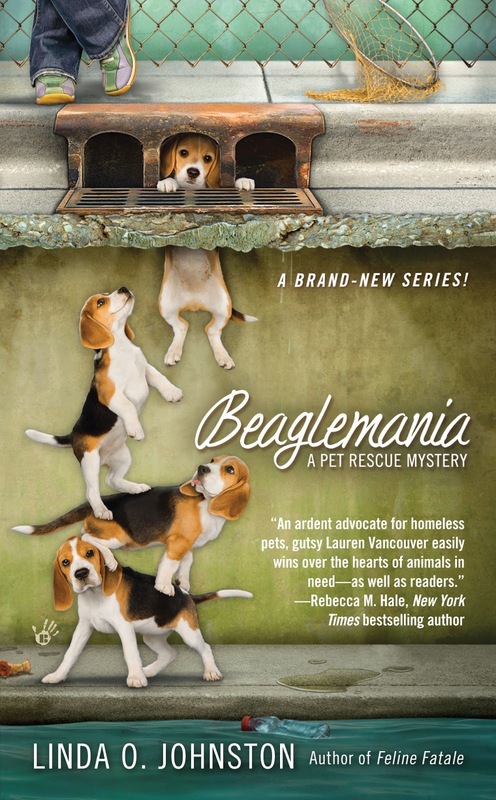 That story was memorialized in a book called BEAGLEMANIA. I really am pleased that Lauren, like me, is involved in saving animals. Her no-kill pet shelter, HotRescues, is a great facility. I helped Lauren find her own rescue dog Zoey, who has also blogged here at Killer Characters. And since that puppy mill event, Lauren and I have dated quite a lot. She and Zoey, and my dog Rex and I, go out to dinner often, plus we dine at each other’s homes. And... well, I’ve no interest in going public about the rest of our relationship. Suffice it to say that we enjoy our mutual attraction to the maximum. And, yes, I like Lauren’s two kids, too, although since they’re both in college I don’t see much of them. But Lauren knows how I feel about her continuing to get involved in solving murders. Yes, I know that she only does it for people she’s close to or at least likes a lot--but I’m not happy at all that so many of her friends and acquaintances seem to get into trouble that way. Does she attract people who somehow turn into murder suspects? At least I’ve never been in that situation, and I hope I never am. The thing is, I care a lot about Lauren. I can see our relationship heading into something really committed someday. But I know she doesn’t like it when I scold her for putting herself in danger. And trying to find genuine murderers can’t help but be dangerous. She seems to understand and even be glad that I care enough to give her a hard time about such things. I know she cares about me, too. For now, I’ll just be there for her. Scold her? Yes. But I’ll also give her advice and even help out when I can in those dangerous circumstances. We’ll just have to see how our relationship goes, and I’m willing to stay in it with her and give it a chance. I suppose I’m glad that my adventures in solving murders are chronicled by Linda O. Johnston. However, I’m not quite so pleased that her picture keeps showing up when I or my guests respond to comments on this blog. I do like her dog Lexie, though. Hi Matt, just keep being supportive of her, and help her when you can, as she cannot stop helping people and animals. Linda, a question for you: how descriptive are you when writing about animal abuse? Because that is one thing I cannot handle. You can kill and torture humans all you want, but not animals. Hey, Aurian, Linda here. Animal abuse? Never! Even if an animal starts off in a difficult situation in one of the Pet Rescue Mysteries, such as a puppy mill or hoarding situation, they're saved and well taken care of by Lauren or her friends in rescue. Not so much with people, though, since they're murder mysteries. Although the deaths aren't described in detail, someone gets killed. 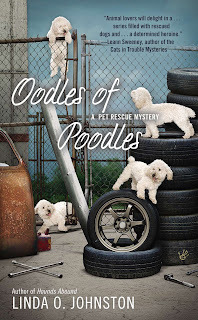 Lauren runs a no-kill animal shelter, and my favorite description of the series is: "In the Pet Rescue Mysteries, "no-kill" means pets, not people!" Aurian,the Killer Characters blog is about cozy mysteries. In cozy mysteries, animals and children aren't harmed, but everyone else is fair game.